Daedalus, a Greek architect, designed wings so that his son Icarus could fly. This early venture into extreme sports did not work out, but great progress has been made since then. One of the most thrilling new sports is kite surfing. 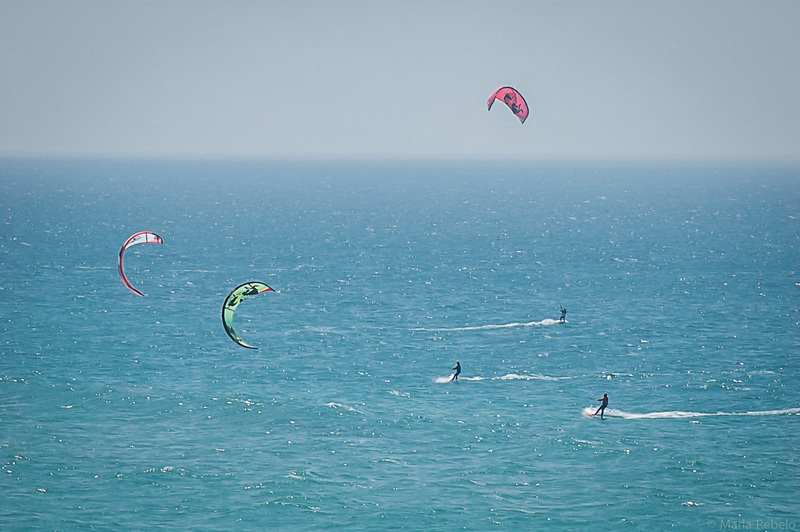 Powered by large kites, surfers dance to the music of the waves and the choreography of the wind. Their feats look impossible. Surely these are Olympic athletes or Bolshoi dancers taunting us mere mortals with their effortless acrobatic elegance. As it turns out, kite surfing is much easier than it looks. Spend a couple of weeks in one of Portugal’s many surf schools and you too will be able to glide. I’d love the kids to have surf lessons – wondered if you had any recommendations! Kite surfing looks fabulous. There are many schools that do a great job with kids. Our kids took lessons at Ripar in Praia da Areia Branca and they greatly enjoyed them. Peniche is another great place to take surf lessons.